All of the glitz, none of the wait! 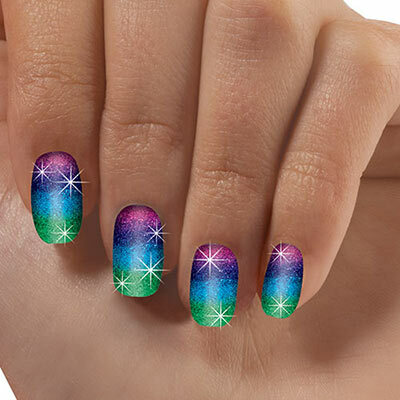 With no smudging or dry time necessary, these long-wearing nail wraps give you perfect, glittery ombré nails in minutes. Set of 12 for a perfect fit. Easy application and removal.